Very rarely does a rebooted series take off and find such financial and critical success that the new Star Trek series has. Back in 2009, J.J. Abrams laid a great foundation for a new world (and a new timeline) where anything could happen to the crew of the Enterprise. The third installment sees the crew finally take to deep space and as the voyages now show no signs of stopping, as it appears Star Trek is here to stay. A surprise attack in outer space forces the Enterprise to crash-land on a mysterious world. The assault came from Krall (Idris Elba), a lizard-like dictator who derives his energy by sucking the lifeout of his victims. Krall needs an ancient and valuable artifact that's aboard the badly damaged starship. 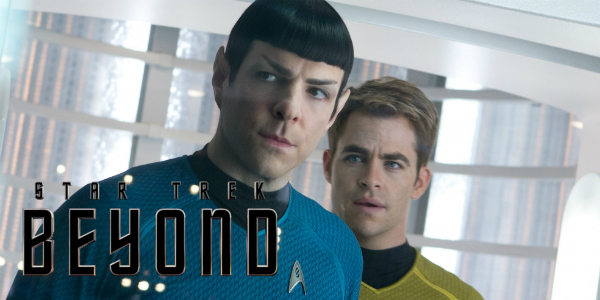 Left stranded in a rugged wilderness, Kirk (Chris Pine), Spock (Zachary Quinto) and the rest of the crew must now battle a deadly alien race while trying to find a way off their hostile planet. The beautiful aspect of the whole premise of this new Star Trek franchise is that each installment is it's own entry, not requiring too much past experience. Sure seeing the other films would add tothe experience but nonetheless Beyond stands on it's own. It's a relatively straightforward story that allows the filmmakers to play with thesecharacters in different ways than the previous two. I have to say that the casting of the roles for the main cast is quite brilliant. By now, they've all settled into their characters and the relationships feel real by this point but that doesn’t stop them from exploring new dynamics. One relationship really stands out, the scenes featuring Karl Urban as Bones and Zachary Quinto as Spock. The two differ greatly in outlook and comedic timing, one being quick and the other being rather dry, that when combined create great moments. We all know that the returning cast is great and all that. But the true shining stars of the third installment are the newcomers. First is Idris Elba, who is dangerously close to being typecast as the villain, as Krall. He has such a menacing voice that makes him dastardly enough as is, but his acting prowess elevates the performance to truly memorable, even if he is under all that makeup. Secondly is the true actress who stole the show, Sofia Boutella. 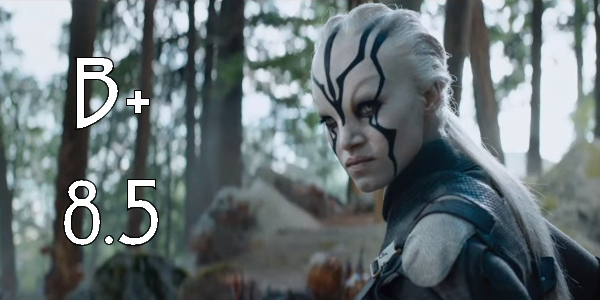 As the helpful alien to the Enterprise crew Jaylah, Boutella offers such great comedic moments as well as stepping it up in the action department to create a wonderful new addition to Star Trek and hopefully a character that might get some further exploration down the line. One of the biggest aspects I was skeptical of going in was the direction of Justin Lin. He was a big action director but the worry about seeing Fast and Furious in space was very real. Despite these concerns, I can say wholeheartedly that Lin delivered with this installment. From the big action to the character moments, Lin really hit the points that he needed to nail. 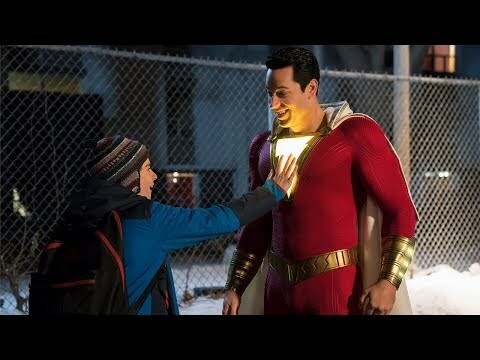 I feel as though some of the comedic credit should go to Simon Pegg and Doug Jung who penned the script but props still have to be given to Lin for directing a well-balanced film. Overall Star Trek Beyond is easily the most fun of the newly rebooted series. Is it the best of the three? Probably not, but what it does offer is summer fun that isn’t looking to be anything more than the film you’re seeing. It doesn’t tease sequels or world building; instead it just presents a good film. The film is full of action and emotion, including touching tributes to Leonard Nimoy, that make this a can’t miss summer blockbuster. So what did you think of Star Trek Beyond? Have you seen it and what’s your favorite Star Trek film? Subscribe, share, comment below and as always return to I Am Sam for weekly reviews and insight.